George Layman è il maggior esperto di fucili Rolling Block nel mondo. Li colleziona da quando aveva 12 anni, ne ha posseduti oltre 1200 e ne ha analizzati personalmente più del doppio. Prima della pubblicazione di questo volume le informazioni disponibili su Rolling Block erano decisamente scarse e disperse. Il libro, suddiviso per nazioni, permette di identificare facilmente i fucili Rolling Block militari di tutto il mondo. Sono stati identificati oltre 50 modelli mai ufficialmente descritti prima. Prior to the publication of this exciting study, only the most meager amount of information has been available regarding the military Remington Rolling Block. This is the first comprehensive work to accurately catalog and document one of the world's most popular, widely manufactured and issued military rifles. This book is addressed to all collectors, whether beginning, intermediate, or advanced, who are seeking identification and explanation of the amazing variety of the military Rolling Block. 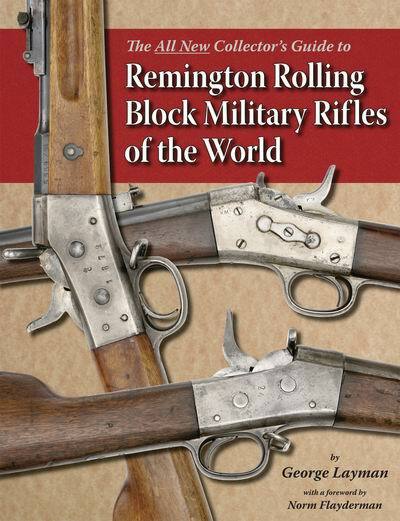 Included is an overview of the early development of the Remington Rolling Block, along with as much of the historical context of the rifles as the author was able to learn. The purpose of this book is to provide as much information based on original specimens, contemporary documents, and firsthand knowledge. Rather than lumping them all into the "they all look alike" category, the reader is equipped to recognize the rare and interesting guns as well as those with romantic historical associations and backgrounds.